It’s been two months since my last roundup post, so we have more books to cover than usual. Yay, books! To fit them all in, I am going to make some use of bullet points, be warned. 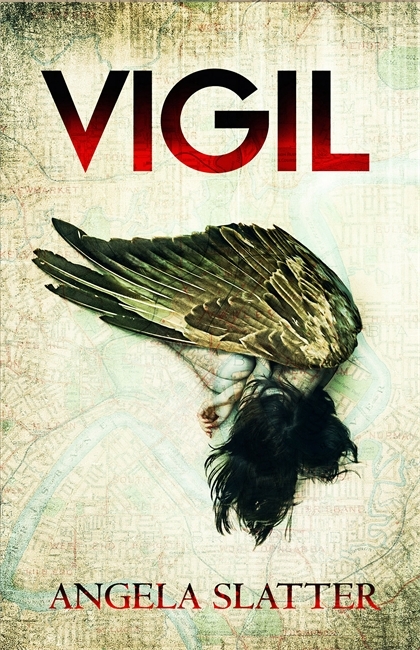 The most popularly reviewed book in the past two months was Vigil by Angela Slatter. It garnered four reviews from Emma Lee Gough, Mark Webb and Elizabeth Fitzgerald. Emma’s review is titled “Putting Brisbane and Australianisms into urban fantasy without cultural cringe”, which probably tells you about half of what you need to know about the book. The other half of what you need to know is that it is, by all accounts, excellent. Click through some of the reviews above for more details. 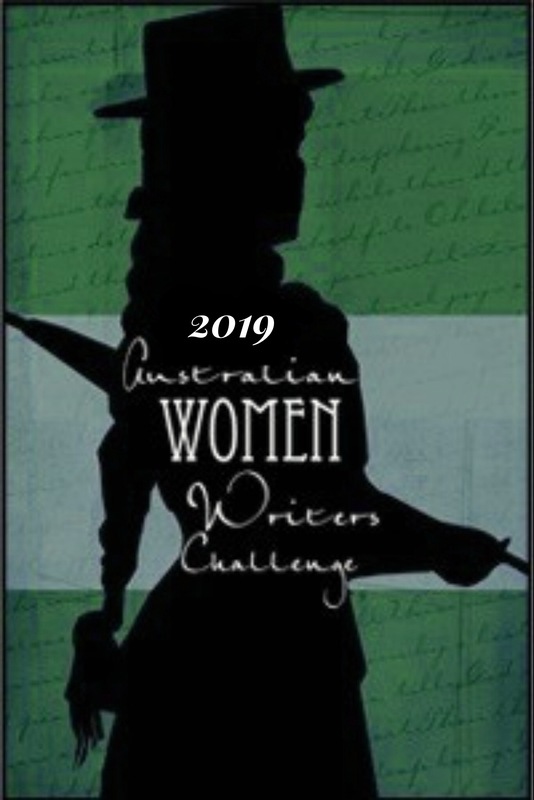 Through Splintered Walls by Kaaron Warren, reviewed by Stephanie Gunn, who praised the collection of three short stories and one novella, calling Warren the Mistress of Australian Gothic. Skin by Ilke Tampke is a magical celtic novel set in pre-Roman (just) Britain. Reviewer Sarah Johnson enjoyed it, and is anticipating the next book in the series. In particular, she notes that “The geographic setting is deftly realized”. A very different kind of fantasy, Amanda Pillar’s Survivor was reviewed by Stephanie Gunn and Elizabeth Fitzgerald. It’s an urban fantasy-esque novella set in the same vampire- and werewolf-filled universe as her novel Graced and both reviewers enjoyed it. 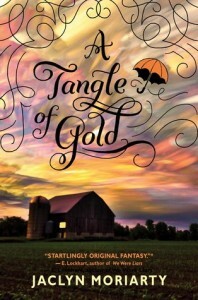 A Tangle of Gold by Jaclyn Moriarty is the third book in The Colours of Madeline trilogy, a portal fantasy reviewed by Shaheen @ Speculating On Specfic. Another sequel reviewed by Shaheen @ Speculating On Specfic was Thorne by Charlotte McConaghy. 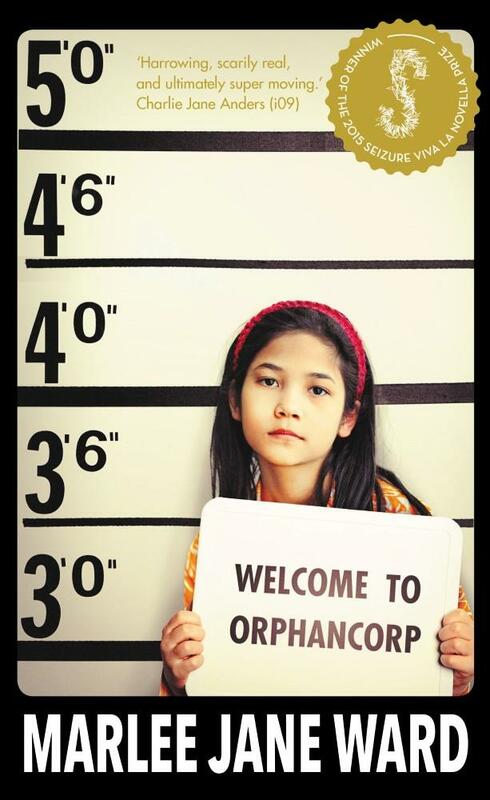 This is the second book in the Chronicles of Kaya and Shaheen enjoyed it more than the first book in the series. See her review for exactly why. Jonathan Shaw reviewed Seahearts by Margo Lanagan, a review which makes for particularly interesting reading if you’re familiar with the book, like I am. Jonathan didn’t take away the same set of messages from this selkie book as I did. 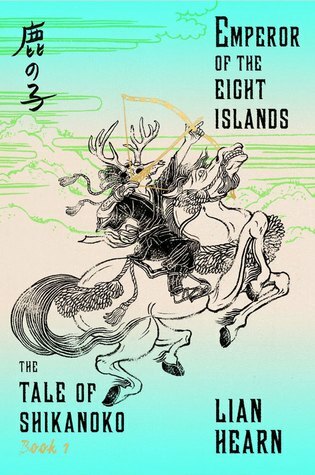 Fans of Lian Hearn may be interested to read Jennifer Cameron-smith‘s review of the new series set in the same world as the Tales of the Otori. Emperor of the Eight Islands is a duology of the first two books in the new four book series, which can also be purchased separately (in an overall confusing manner). Jennifer enjoyed them and is eagerly awaiting the next two books. The Starbound trilogy by Amie Kaufman and Meagan Spooner garnered a few reviews this month. Julia Tulloh Harper reviewed the first in the trilogy, These Broken Stars, while Cassandra Page reviewed the sequels, This Shattered World and Their Fractured Light. A romantic YA SF series enjoyed by both reviewers. Speaking of trilogies, Brenda reviewed the final instalment of Leonie Rogers’ Frontier trilogy, Frontier Defiant. She enjoyed it and highly recommends the entire series, which is a far future SF series featuring giant cats. 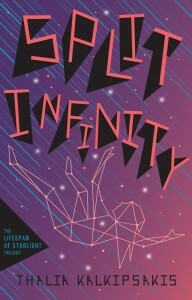 I reviewed the second book in Thalia Kalkipsakis’s Lifespan of Starlight series. 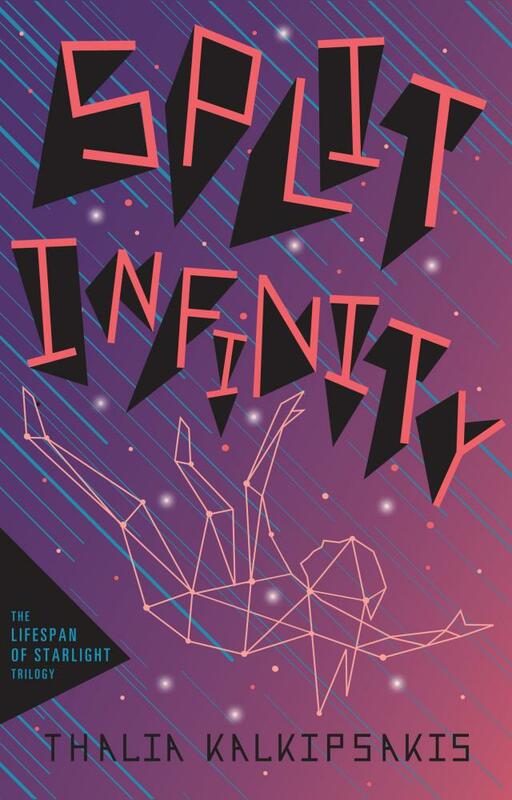 The first book, The Lifespan of Starlight, sets up a well described near future semi-dystopian Melbourne, while the second book, Split Infinity, builds on this setting and on the time travel motif introduced in the first book. 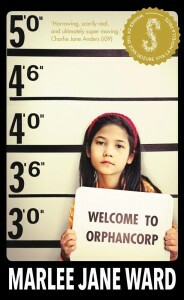 The third book isn’t out yet, but I, for one, am anxiously awaiting it. Tsana Dolichva is a Ditmar Award-nominated book blogger who has been reading and enjoying Australian speculative fiction for as long as she can remember. She blogs her book reviews over at the creatively titled Tsana’s Reads. Along with Holly Kench, she edited Defying Doomsday, an anthology showing that people with disabilities and chronic illnesses also have stories to tell, even when the world is ending. In her spare time she is an astrophysicist. Thanks for the mention, Tsana. I’m intrigued. What were your take-home messages? I don’t have time to go into detail (sorry), but one of the things I remember most clearly from the book was that the men were almost all terrible (with the obvious exception of Daniel). I didn’t find them sympathetic at all. When you say “we understand the desire of the men,” I just wanted to slap them.